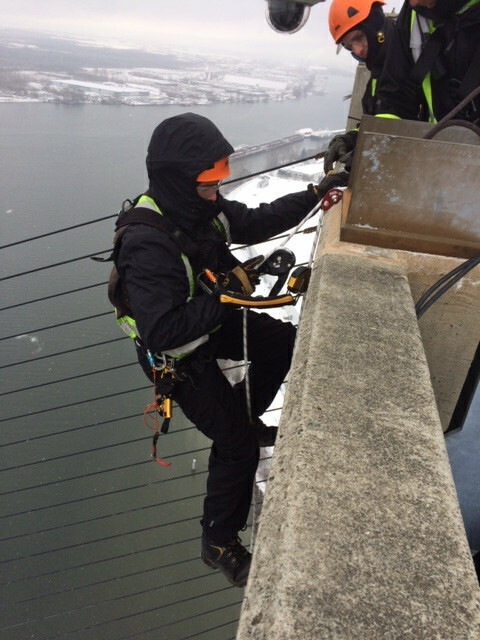 Surrey/Delta/Richmond – Installation of the cable collar system, which will be used to clear snow and ice from the Alex Fraser Bridge cables, has finished, making the crossing safer for drivers during winter weather. The custom-designed system includes 10 collars, one stopper and one anchor on each of the bridge’s 192 cables. The system will be manually operated by crews of rope-access technicians, who will load and deploy the collars as needed. Last month, crews successfully test-dropped 14 of the bridge’s collars during the winter storm that brought more than 20 centimetres of snow to Metro Vancouver. 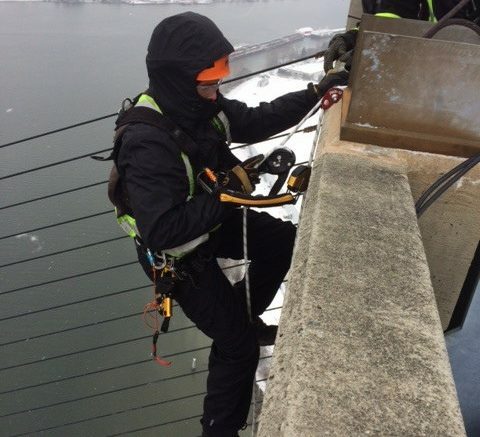 The Ministry of Transportation and Infrastructure will continue monitoring weather conditions on the Alex Fraser Bridge, and is ready to use the entire cable collar system to ensure snow and ice does not fall onto the bridge deck. Be the first to comment on "Alex Fraser Bridge Cable Collar System Installation Complete"